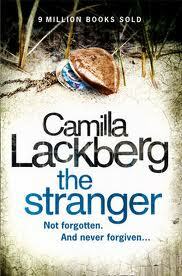 Very interesting 4th book in Lackberg’s popular Fielbacha series. In the background Patrik and Erica continue to make a home for their daughter, Maia. Erica’s sister begins to recover from killing her abusive husband (book 3). Patrik has a new partner, a woman named Hannah. And Patrik’s difficult co-worker, Melbery, falls in love. Patrick’s main case this time involves a woman who was killed in a car accident – she had a lot of alcohol in her blood. But when they tell the relatives they’re told that the victim didn’t drink at all. The relatives include the victim’s child, her ex-husband and her lesbian lover. Then a reality TV show comes to film in town and one of the cast members is killed – her body left in a trash can. More suspects and other murders turn up – all loaded down with alcohol. Good story – Lackberg isn’t quite so dark in this novel but it has lots of characters as usual, there are a lot of back-stories some from the killer’s perspective, and much of it deals with childhood trauma. I’ll likely continue the series as it is released in the States – it’s up to 8 books now.